From the 22rd to 24th of March 2019 fans of automotive pleasure and comfort can marvel at trends and innovations at the International Exhibition and Convention Center Salzburg. Attractions are the brand new vehicle models as well as highlights on the subject e-mobility, tuning and motorsport. Auto Messe Salzburg is a well established exhibition showing the car novelties of all important car manufacturers. On a total of 35 000 square meters everything around vehicles including Motorcycles will be displayed. The amount of expected visitors is around 33 000. The combination of Auto Messe and CarMediaWorld is the perfect link between automotive fascination and In-Car Electronics innovations. In addition to the CarMediaWorld in Salzburg EMMA invites all leading responsible Judges from over 40 Nations for several trainings and discussion panels. 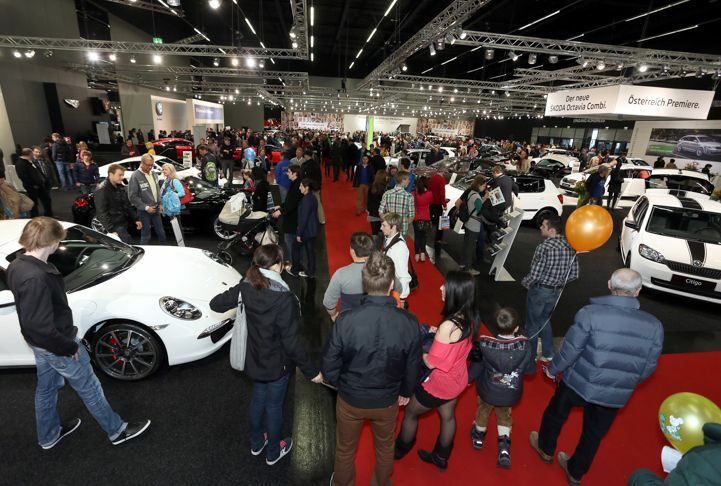 An absolute Highlight for Car enthusiasts is the European CarMedia Championship, taking place in Hall 10 and the Salzburg Arena, where the famous EMMA Party will take place on Saturday, March 23. One more good reason to visit Salzburg is the long cultural history of the city – which is not only known for being Wolfgang Amadeus Mozart’s birthplace, but is also well known as a place with countless must-see-historical POIs and a very active night life in romantic taverns as well as in very hip scene venues. See you at Auto Messe Salzburg and CarMediaWorld!